Well, hi there! It’s Sara from Bitz & Giggles! I’m through-the-roof excited to be sharing today here at The NY Melrose Family! Beyond being an absolute Google+ GODDESS, Jenny has been an instrumental part to my beginnings as a blogger and I could never thank her enough! So having the opportunity to share with you all right before one of my favorite holidays is, well, making this into one of the best days ever!So, who’s excited about the 4th of July?! It’s tomorrow, people! Are you ready? I sure am! We’re going to be chillaxin’ at our lake cabin with family and friends – giving the grill a work out with everything from our Root Beer Grilled Chicken to our Grilled Fresh Vegetables. Oh and definitely don’t forget our BEST Steak Marinade EVER. I had to add one more to the line up because these Lemon Basil Grilled Shrimp are an absolute must make and they are so easy! Great recipe, Sara, and right up my alley. 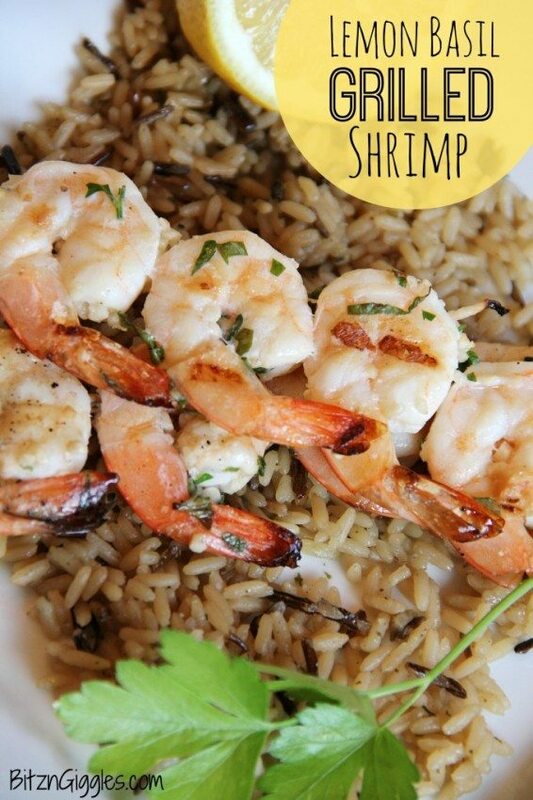 I eat shrimp at least once a week and I love the fresh, easy marinade. Beautiful and perfect for large crowds. Happy 4th! Where to find Galleries, Photos and Wallpapers of Zee Marathi’s favorite Actress.